Have you been offered admission into the institution of your choice? If yes, then it’s high time you ACCEPT or REJECT your admission offer on the Joint Admission and Matriculation Board (JAMB) Central Admission Processing System (CAPS). 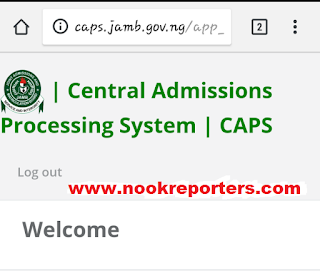 Once a candidate has been offered admission, such candidate is required to do either of two things; to ACCEPT the admission or to REJECT it on JAMB CAPS portal. 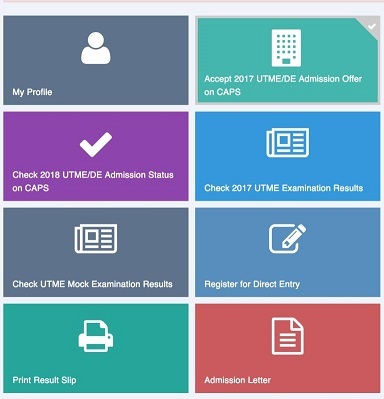 Successfully admitted candidates are advised to ensure that they indicate the acceptance or rejection of admission online and timely to enable the processing of their admission. 5. 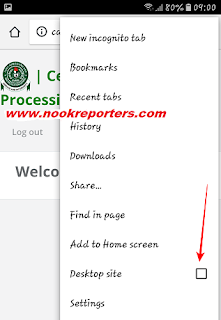 Select the three doted line at the top right-corner of your browser ( i.e. ⋮) and then tick ‘Desktop site‘.